The long awaited return of the undisputed master, Carl Craig has long threatened to release this amazing 4-tracker, with those who’ve been lucky enough to hear it declaring it the strongest material from the man in years. 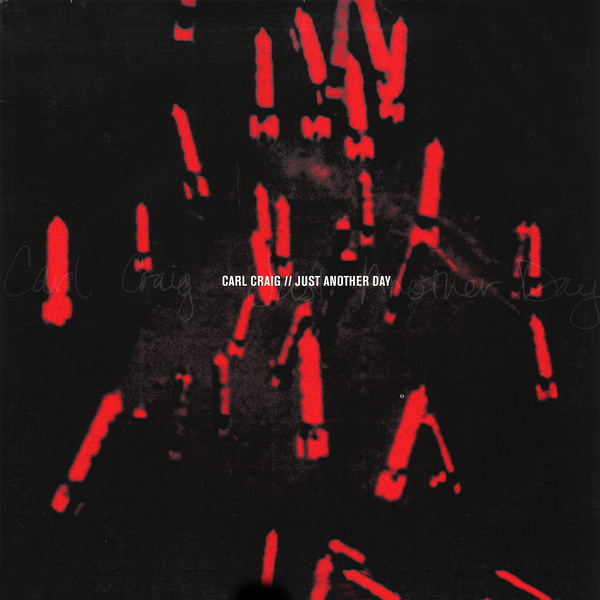 “Just Another Day” is vintage Carl – atmosphereic, slow-building, evocative, configured for late night fuzzy neon-lit listening. Thematically this EP fits in best with his tempered Psyche / BFC classics, the man has lost none of his uncanny grasp of the subtleties of melofy and rhythm. The first 3 cuts are full of overflowing fuzzy synths, deep padded basslines and sparse beats. "Experimento" is the exception to the rule on this amazing EP, as it takes you off on a leftfield excursion into throbbing industrial electronics. Essential.